Only Suppliers that have been prequalified through the NSWICC Assured Program are listed on the NSW Aboriginal Business Portal. NSWICC Assured Businesses are Aboriginal owned and Contract Ready. The NSWICC conducts quarterly audits on Portal listed Businesses to ensure continual compliance with the NSWICC Assured Program and accuracy of business information such as capacity, ownership, control and licencing. The NSW Aboriginal Business Portal makes purchasing easy for Procurement Teams and other Buyers. The NSWICC’s Specialist Procurement Unit are available to assist Portal users at any time between Mon-Fri 8am-5pm (AEDT) by calling (02) 4932 7722 or via our contact form here. 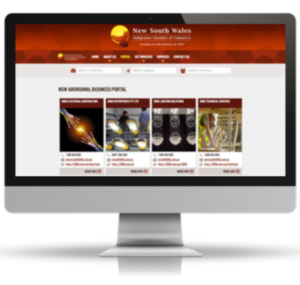 In 2015, the NSWICC partnered with the NSW Government to build the NSW Aboriginal Business Portal to provide a ‘One Stop Shop’ facility and resource to support Government and others seeking to purchase from Aboriginal Suppliers. Today the Portal has been upgraded to include a wider range of search and reporting capabilities for users. The upgrade is further supported by a team of Aboriginal Procurement Specialists who are available to support subscribers locate and engage with Aboriginal Suppliers. The Portal is available through your membership as an Associate or Partner of the NSWICC. The Portal provides a highly credible resource for Government and Other Stakeholders seeking to procure from Prequalified Aboriginal Suppliers. Working Closely with the Business Owners and Government Regulators such as the Commonwealth and NSW Ombudsman for Small Business, ATO, ASIC, Work Cover and Fair Trading, the NSWICC provides assurance for Purchasing Teams that Businesses listed on the portal are Aboriginal Owned and Compliant with Government and Industry Regulators.